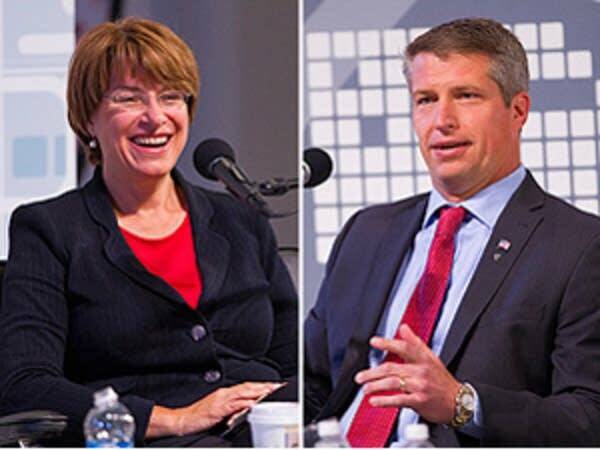 DFL Sen. Amy Klobuchar and her Republican opponent state Rep. Kurt Bills debated the nation's struggle with deficit spending and unemployment at a forum Tuesday morning in Duluth. For their second one-on-one debate, Klobuchar and Bills met at a theater before an audience assembled by the Duluth Area Chamber of Commerce and Duluth News Tribune. Their hour-long exchange was timid compared to their raucous State Fair encounter during the previous debate sponsored by MPR News. 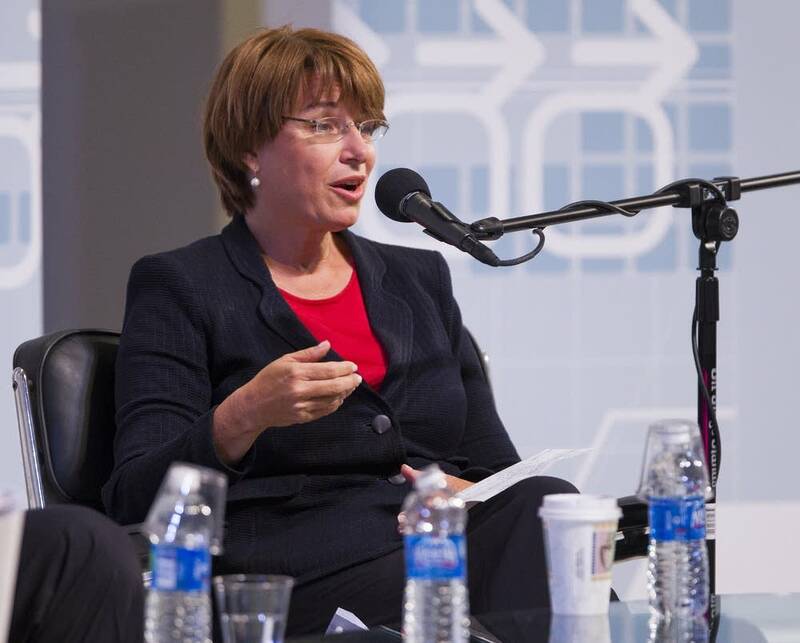 More than any other topic, Bills and Klobuchar went back and forth on deficit spending and the nation's $16 trillion national debt. Bills called the situation a "solvency" crisis and said Washington is not working. "This isn't really an Amy versus Kurt thing. This is an America versus D.C. thing, all right? Our country is so out of equilibrium right now. A solvency crisis is when you have too much debt on the system," Bills said. Bills criticized Klobuchar and other members of the Senate for relying on continuing resolutions rather than agreeing on full-scale budgets. He said an independent debt commission isn't needed. "We already have a debt commission, it's called Congress," he said. Bills said the budget could be addressed in a balanced way. That's language often used by supporters of tax increases along with spending cuts. 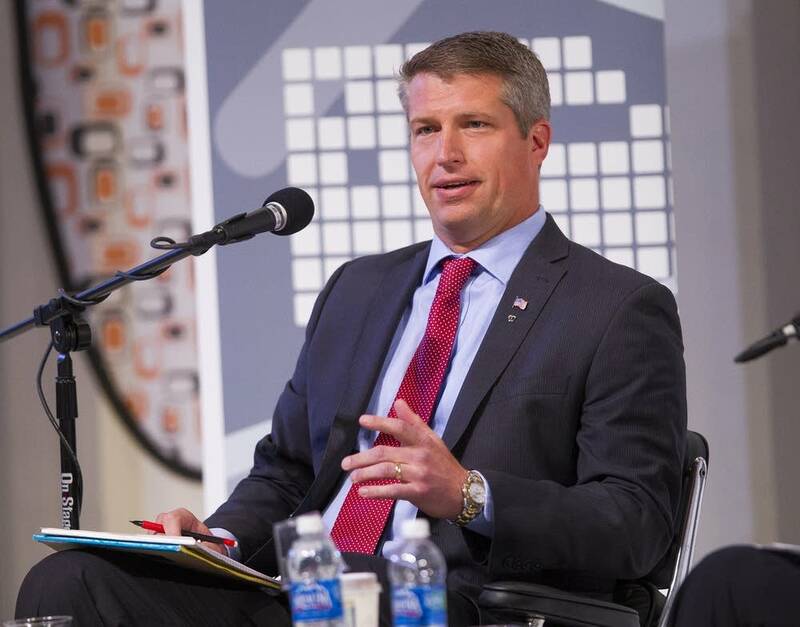 On Monday at a University of Minnesota forum, Bills said he would be willing to vote to raise taxes as part of a budget solution. But Klobuchar sought to make the case that Republican budget plans Bills has said he supports are one-sided and make massive cuts to programs for the middle class while at the same time slash taxes for millionaires. She said she's voted to cut spending. Klobuchar has also voted to raise taxes. "I supported and voted for the last compromise which is the Budget Control Act with its $2.2 trillion in spending cuts, more than we've seen in decades," Klobuchar said. "That is what is happening right now in this country. It's not going to be easy, but we are going to have to make some spending cuts." Klobuchar would keep Bush-era tax cuts for the middle class but she would roll back the cuts for people making more than $250,000 a year. Bills reiterated his call for a flat tax which he said would be the most fair approach. On entitlements, Bills said congressional inaction on the part of Klobuchar and other Senate Democrats threatens the very programs Democrats accuse Republicans of seeking to destroy. Bills argued that Republicans at least have come up with some proposals. "Clearly put, the people who are not offering solutions are the people who are going to take Medicare, Medicaid and Social Security off the cliff, and everybody knows this," Bills said. Although Bills has expressed support for some of the most controversial budget proposals in Washington, he said he's not married to any one plan and that he's be willing to take tough votes and to compromise if he's elected. Klobuchar said she has a long record of doing just that over her nearly six years in the Senate. "Nearly two-thirds of the bills that I have led have been with Republican co-sponsors," Klobuchar said. "I have proven that I am willing to work with people across the aisle to get things done." And Klobuchar said much of what she called antics in Washington are coming from extremist behavior of people Bills has cited as mentors. "I don't understand why my opponent, who is so well-liked in the state and has supposedly such huge polling numbers, why would she have to attack me and call me extreme? I'm a public school teacher. How extreme is that?" he said. Klobuchar did not address the "extreme" charge head on, and instead repeated her contention the GOP budget solution Bills has said he supports would be a boon for the wealthy and would hurt hard-working people in northern Minnesota. Bills and Klobuchar are scheduled to meet for just one more debate between now and the November election.